Road bikes have been popular in cycling for longer than any other type of bicycle. For example, many would remember the iconic dark green colored Schwinn Varsity, as the bike that hung in the garage 50 years ago. As time went on Schwinn road bikes made way for the lighter European and Japanese bikes. Furthermore, thanks to celebrity involvement and exceptional product, road cycling has seen a resurgence in the last quarter century. Read on to wade through a century of history and countless products for the right road bike for you. A professional bike fitter dials in the position for a rider (left). The typical aggressive position in this vintage image on the right. For too long, road bikes were designed with tradition in mind rather than riders needs. Regrettably, it was the job of the rider to conform to the bike rather than the other way around. Thanks to a lot of market requests and a lot of work by manufacturers, we now have road bikes with drop bars that fit all types of riders. Newer road bikes are far more efficient and comfortable than ever before. 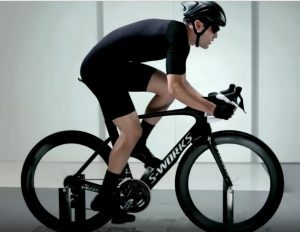 Newer road bikes have more lateral stiffness than older bikes and transfer more force into forward motion. They do this through intelligent design and updated materials. Additionally, while being laterally stiff, newer bikes are also vertically compliant. This vertical compliance limits the amount of vibration that is transferred from the road into you. 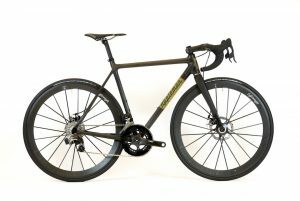 So a new bike will go faster and be more comfortable than anything from even 10 years ago. As bicycles have become more efficient and comfortable, people are seeking new and more difficult terrain. Wider tires are being used to add traction as these new territories are being explored. Additionally, braking systems have become more powerful to aid in control. No longer are you confined to paved roads, now all those amazing dirt and gravel roads are available to you as well. Steel tubes have been used for making bicycles since the late 1800’s. Steel was an ideal material because of its strength and cost. Currently, steel frames are usually found on high end frames built by custom builders. As a matter of fact, steel frames today use high quality tubes that are very strong and light. With that in mind, the benefits to steel frames are that they are very strong and naturally flex to absorb vibration. 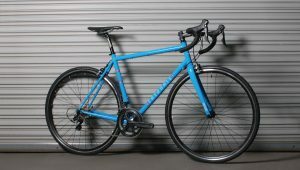 This makes steel bikes incredibly durable and comfortable. Aluminum has gained prominence in frame construction because it is light and stiff. Being light helps the bike accelerate under the rider and being stiff transfers your energy efficiently. The downside of aluminum is that it can transfer vibration effectively from the road into the rider. Happily, bicycle designers have found ways to manipulate the tube shapes to offer a more compliant ride with current aluminum than bikes made in the past. The newest material used in bicycle frames is carbon fiber. Carbon fiber frames can be laterally stiff, very efficient, vertically compliant, comfortable, and incredibly light. These characteristics make carbon an ideal material for bicycle frame designs. The only downside to carbon fiber bike frames is that they are more expensive than steel or aluminum bikes, and less durable to impact. Competition road bicycles position the rider in the most efficient orientation possible. The rider’s position on these bikes is focused on aerodynamics and bio mechanical efficiency. Typically positioned with the hands and back low, this position is an effort to cheat the wind. Competition bikes also incorporate design features that transfer as much of the riders effort to forward motion as possible. Endurance road bikes are designed for long miles and maximum comfort. To that end, they use all the same efficiency designs as the competition road bicycles, but incorporate a higher bar position to be more comfortable. In addition to efficiency features, endurance road bikes use design features to increase the comfort of the rider. These designs absorb exceptional amounts of road vibration, leaving the rider feeling better after a day in the saddle. Adventure and touring bicycles are a growing category rooted in the most traditional aspects of cycling. With that in mind, these bicycles are ridden through terrains not possible for competition or endurance road bikes. Some are equipped with tires typically found on mountain bikes, creating greater traction and stability. These bikes are capable of long rides well past the end of the pavement. If you plan an overnight adventure, these bikes are capable of being loaded with racks to ensure you can bring everything you need to enjoy your adventure. 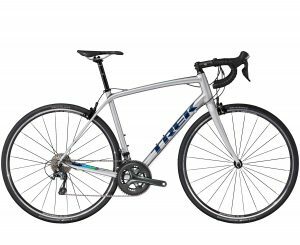 How Do I Figure Out What’s the Right Bike for Me? Try them out. Test ride as many bikes as possible by going to your local bike shop ready to ride. If you have them, bring your helmet, shoes, pedals, and wear your cycling clothes. The difference in road bikes can be very subtle, so only by riding many bikes can you discern the difference. Start off with a bike that is your correct size. In brief, take a 10-15 minute test ride to get a very good feeling of how the bike handles. 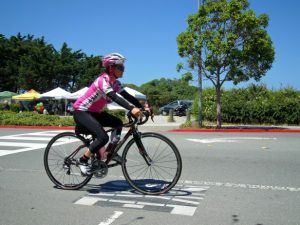 A good course for a test ride will include some hills, a long flat section, and some turns that can be taken at speed. 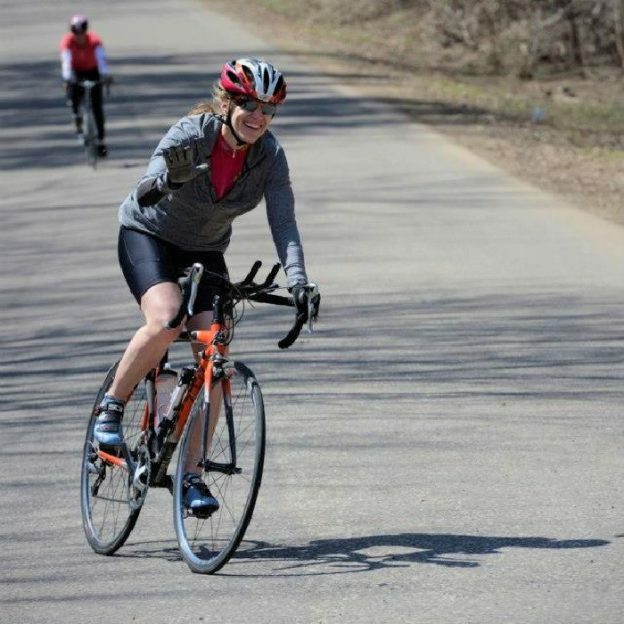 Focus on how the bike accelerates, climbs, descends, and turns. 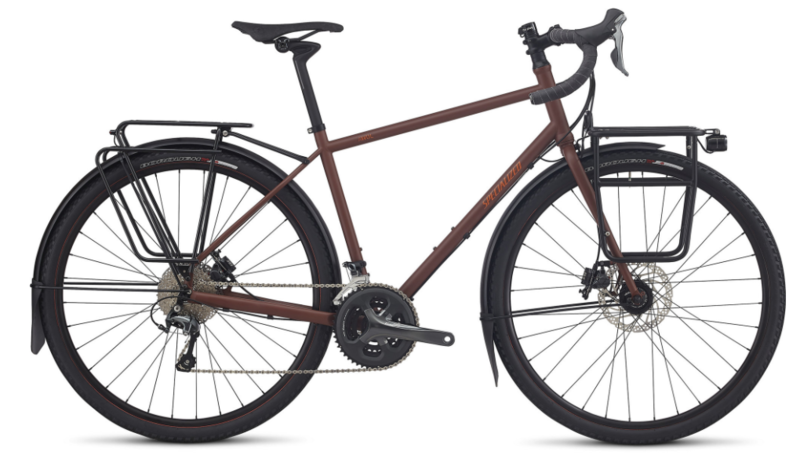 After you ride enough bikes, the right choice should present itself to you. This entry was posted in News and tagged Adventure bike, adventure bike shopping, Adventure Bikes, Adventure Cycling, adventure riding. 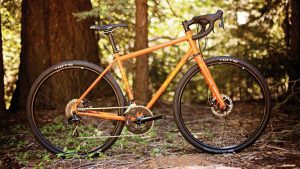 buying a road bike, Gravel Bike, gravel bike shopping, Gravel bikes, gravel cycling, gravel grinding, gravel riding, raod biking, road bike shopping, road bikes, road biking, road cycling, Roadbike, shopping for a road bike on March 22, 2018 by John Brown. 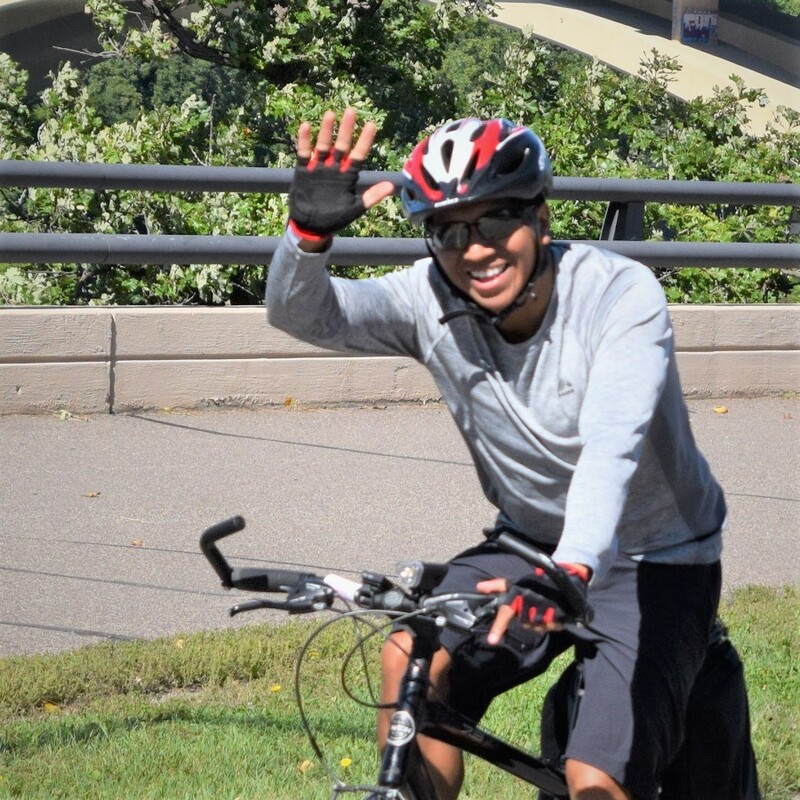 Now that summer is in its prime, for fun in the sun, lets plan a fun bike trip. While hundreds of people flock to the lakes and local pools for refreshment many, like myself, will find refreshing the soul on two wheels the best way to go. Take a look below at how I plan for an enjoyable bike trip through the summer. Just because you are limited on time doesn’t mean you need to miss out on riding your bike. You can have fun right around your neighborhood! I have found that a great way to plan a short ride is to first determine a destination point. That destination can be an ice cream parlor, a road you have driven down but never seen up close or maybe a nearby water park? 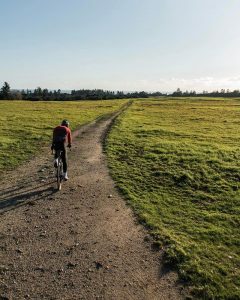 Once you pick your destination, try to link in some sections of bike path, rail trail, or some quite back streets or road, even though they may not be the most direct route to your destination. After you pick a destination and a route the rest of the planned excursion tends to materialize easily. For a short trip just pack water and the tools to fix a flat. These rides usually only last an hour or so but can do a lot to help your peace of mind. 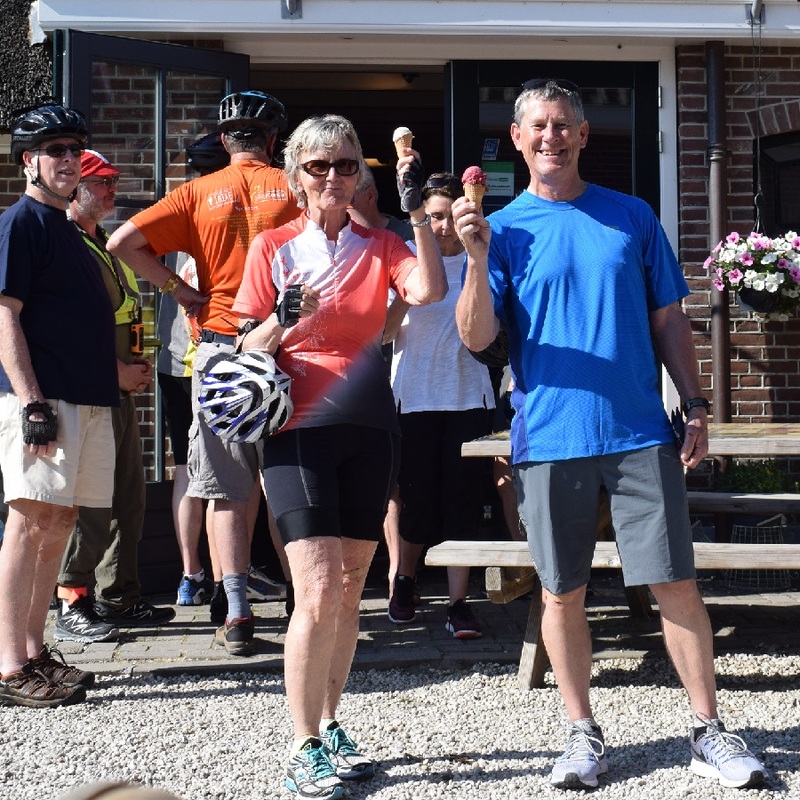 Ice cream is always a great mid-ride snack no mater if its a long or short bike trip. On a longer bike trip it takes a bit more planning, though it follows the same order as above. Pick your destination with several attractions or points of interest close to one-another. Then, add some bike friendly routes and the rest of the planned bike trip will materialize. On longer trips, it is also important to make sure your bike Is working well. Lube the chain, adjust the brakes, check your fit, or drop it off at your local shop for service at least two weeks before you plan to depart. For longer trips, I like to employ the use of guide books (Like our Minnesota Bike/Hike Guide) to find the best places to ride. Once you determine the location, reach out to local businesses like bike shops, hotels, business associations, or tourism boards to find out more details about the area. As I mentioned before, a bike guide is a great place to start planning, but also reach out to local tourism bureau’s. 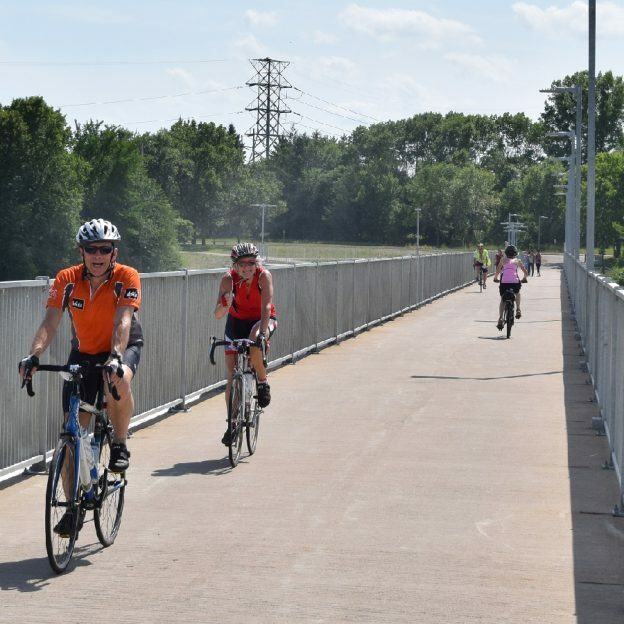 Bike paths and trails have become a popular attraction for most towns and visitors centers are more than happy to talk about their bike friendly amenities and usually have the most up to date information. Also consider using software programs like: Ride with GPS, Map My Ride and Strava for more route ideas. Packing for a long trip is more involved than what a short trip normally requires. If you will be driving a long distance or flying to get to the ride you don’t want poor weather to keep you off your bike – so pack for the worst! As an example, I once did a 24-hour long mountain bike race in West Virginia in July and while the race started under sunny skies at 95 degrees, it was snowing on the top of the mountain, that night. 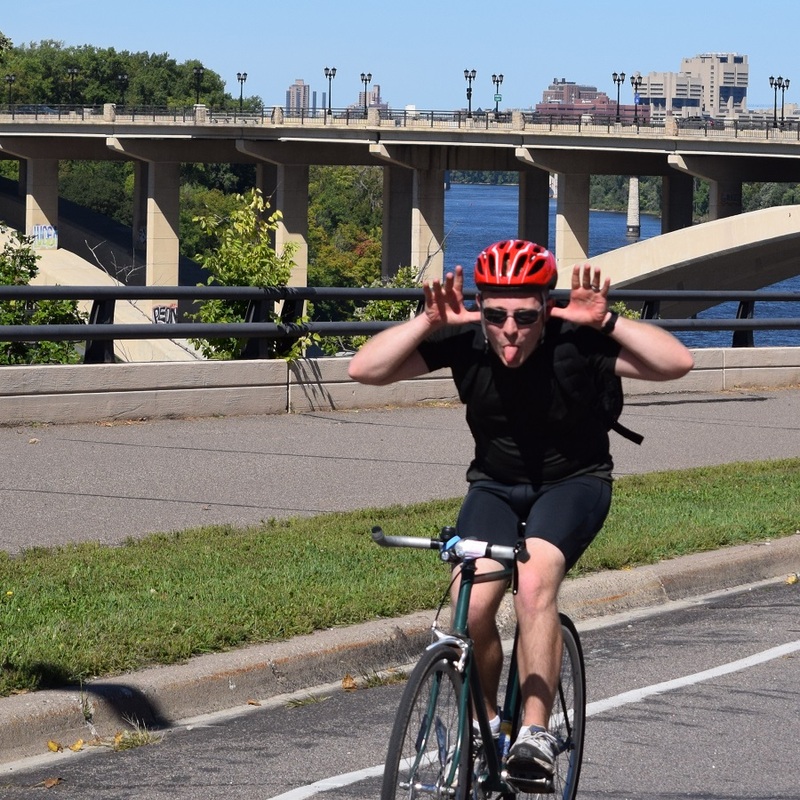 Take a look at our comprehensive bike trip list for all the items you may be forgetting. A great bike trip is a safe bike trip. There is no more important part of bike safety than a helmet that fits. While crashes are uncommon, they do happen and a helmet is the best way to protect yourself from serious damage. Other than the helmet, practice riding safely with hand signals, situational awareness and limited distractions to keep you out of trouble. If you are on a family trip, it’s also important to talk to your kids about bike riding safety. If your ride involves time stopping, maybe at a restaurant or ice cream parlor, be sure to lock your bike securely. Follow these three rules when locking your bike. One, Lock it to something secure. 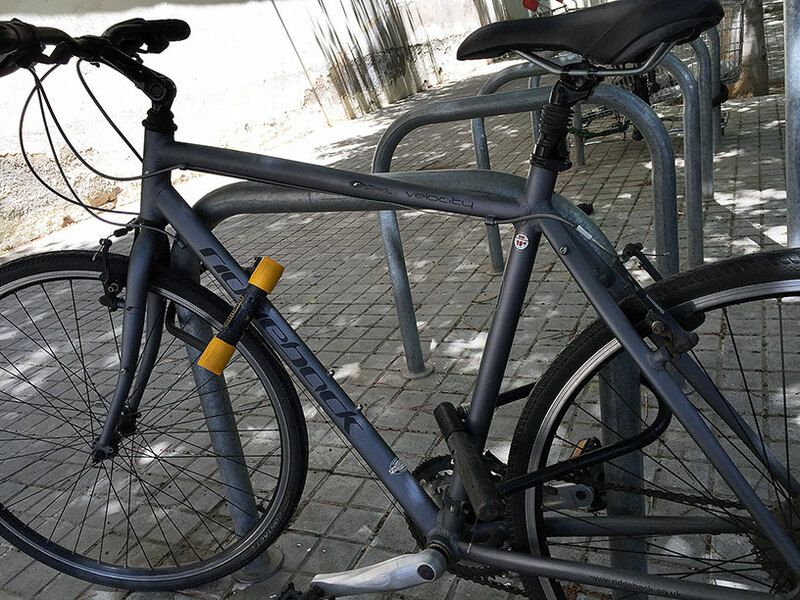 If the bike rack or a sign post you plan to lock your bike to isn’t secure, you are making a would-be bike thief’s job easier. Two, Lock the frame and at least one wheel of your bike. Locking just a rear wheel or front wheel makes it easy for someone to walk away with the rest of your bike. Three, Lock your bike in a well trafficked area. Bike thieves will be less likely to try and take your bike with witnesses around. Most important part about making a bike trip fun is to remember, it I all about fun. We all have days that start late, roads that get closed, out of the blue rain falls, and generally stuff that happens. Remember that the bike trip is all about the ride, not necessarily the destination so enjoy your time in the saddle. 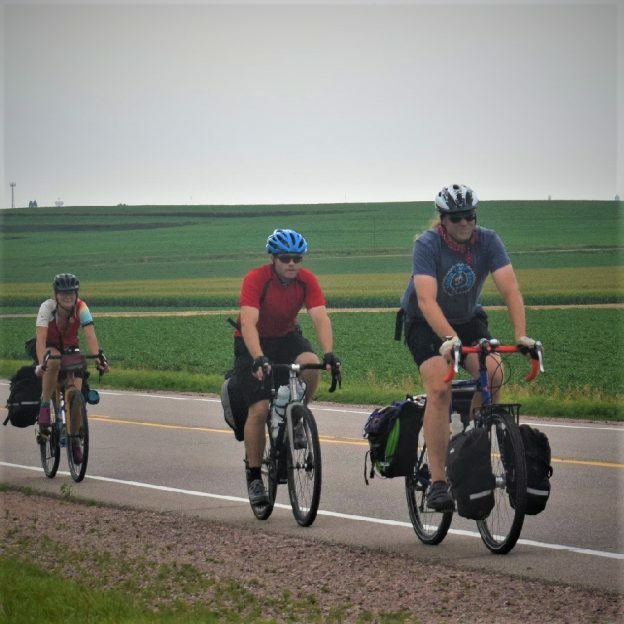 This entry was posted in News, riding tips and tagged #FindYourNextAdventure, #mountainbike, #mtb, #travel, Adventure bike, Adventure Cycling, bike guide, Bike Guide Minnesota, Bike Guide MN, bike helmet, Bike helmets, bike lock, bike locks, bike tour, Bike travel, bike trip, Bike Trips, bike/hike guide, Helmets, hybrid bike, lock bike, lock your bike, Minnesota Bike Guide, Minnesota Bike/Hike Guide, mountain bike, Mountain Biking, road bike, touring bike on July 20, 2017 by John Brown.